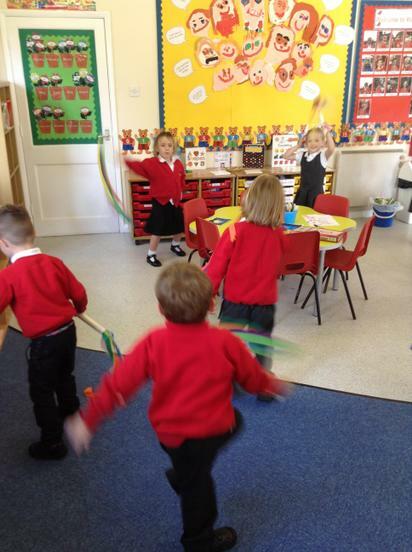 We've had a super week again with lots of fun - learning about parties and rainbows! We've talked and wrote about all the things we do and have at parties, how we celebrate birthdays and the foods we eat. 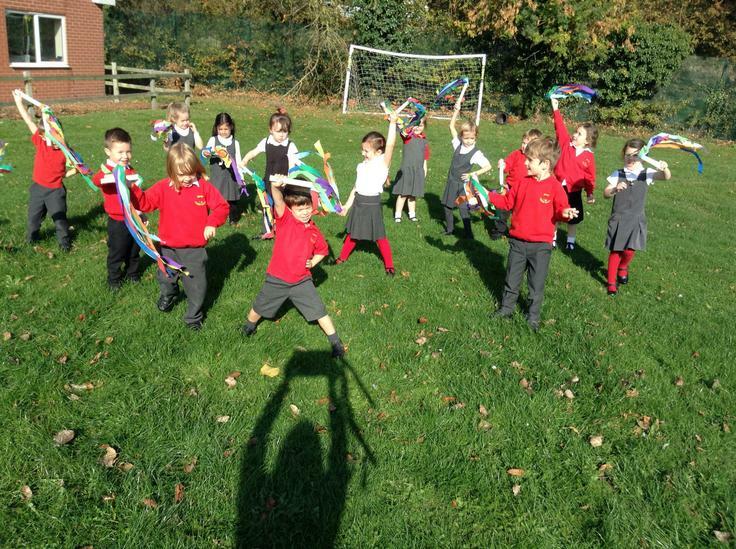 The children have made rainbow party streamers and we had a fun time on the field dancing with them whilst we sang the Rainbow Song. Inside we danced along to pop music and the children loved playing with them outside too. 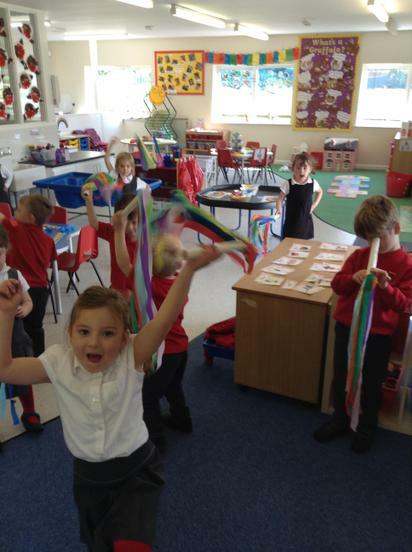 We've painted rainbows and learned about all the different colours they have. 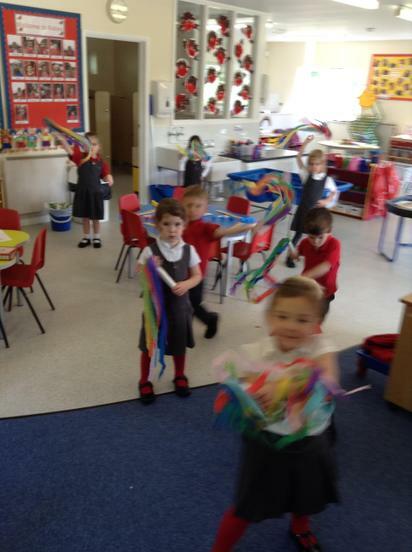 We've poured rainbow rice, made cupcakes with multicoloured playdough, made our own rainbow fish and played parachute games. 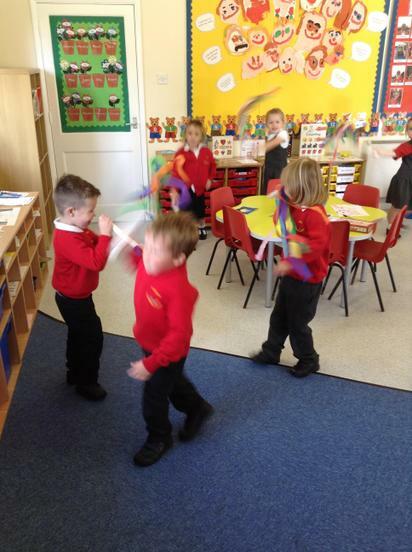 In maths the children have tried to continue a shape sequence, eg, triangle, square, triangle, square, using 2D shapes on the floor. 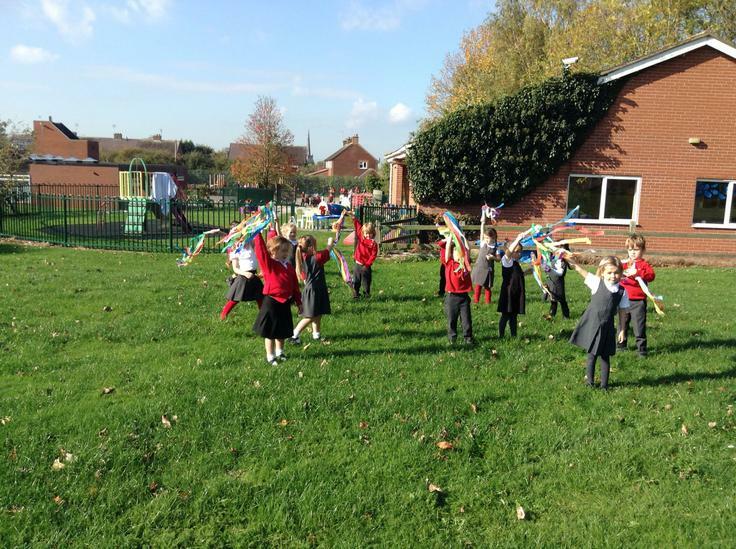 What a lovely, colourful week!